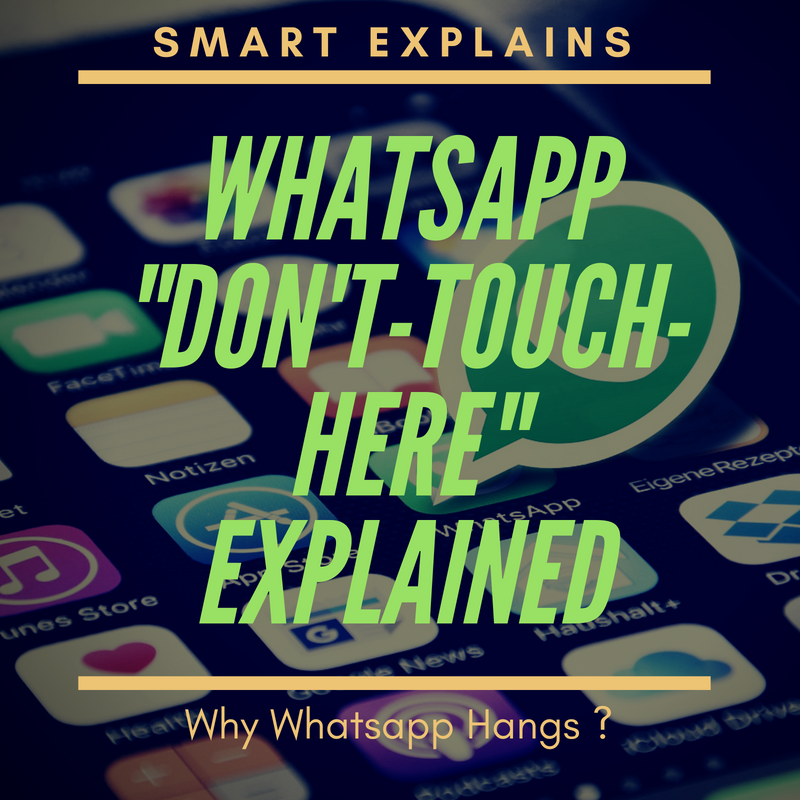 Whatsapp “Don’t Touch Here” Hang Problem Explained : A new Whatsapp Message saying “don’t-touch-here” is spamming a lot in our Whatsapp Groups and Whatsapp Chats. If you’ll touch that message, your “Whatsapp” will crash or sometimes it freezes your Smartphone too. Well it isn’t any new issue, we have seen earlier a lot of messages like that which crashes or hangs Whatsapp Messenger. For example, we have seen that spam emoji message which contains a lot of emojis and some special characters which freezes our Whatsapp or Phone. Let me clarify first, It’s not any kind of Virus, Trojan or any other harmful file. It is just a complicated Message which crashes the Whatsapp App. So If you want to know the exact reason behind this ! Keep Reading this Article till end ! 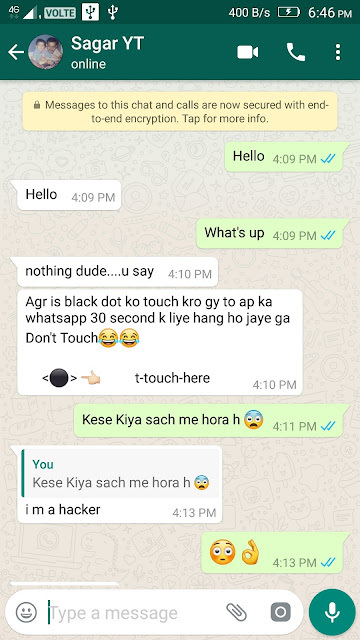 Why Whatsapp Crashes after touching on the message “Don’t-touch-here” ? So the most important question is that Why Whatsapp Crashes on just touching a short simple message. So I researched about it and I am sharing what I get to know about it. So to understand it properly, Lets first understand “What are ASCII values?“ ASCII values are some decimal values which are created from binary numbers which is a computer language. Each Alphabet from A to Z have its own ASCII decimal values. When you send any message on Whatsapp, firstly it gets break down each and every alphabet of the sentences into ASCII values. But there is a limit in Whatsapp App to support these ASCII characters in a limited amount. So if you send any message exceeding this limit, then the Whatsapp App gets crashed or the phone gets freeze. That’s why sending a lot of emojis in Whatsapp, leads to crash the Application. Now you might be wondering that the message “Don’t -touch-here” is just a small and simple sentence, then how does this leads to crash the Whatsapp App. So let me clarify you, in the case of this message called “Don’t-touch-here”, you’ll notice a blank space. This blank space is the main reason of the Whatsapp Crash or Phone Freeze. Touching on or around the blank space leads in Whatsapp App crash. This is because it contains a lot of hidden characters in it. These characters are not visible to us. But they are hidden in that short space. These characters exceed the limit of ASCII values which Whatsapp Supports. 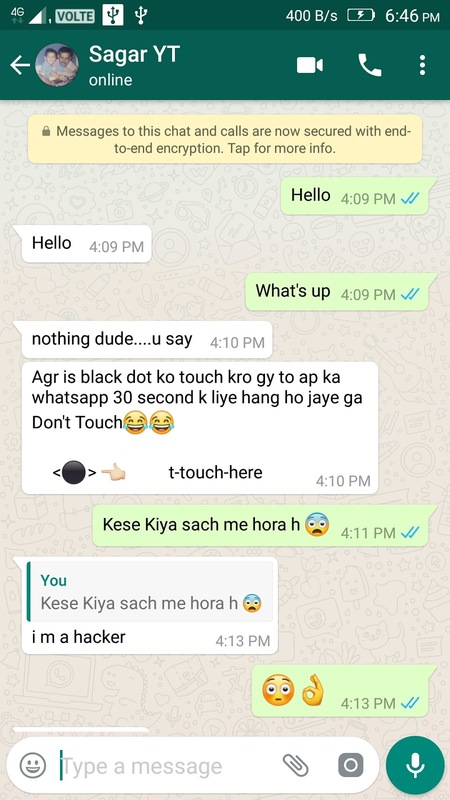 This is the reason why Whatsapp crashes on touching around that message. Here I converted that simple text message into ASCII values and I got to know that it contains around 10,000 characters which exceed the maximum supported characters by Whatsapp. Hence the Whatsapp gets crashed. How to perform practical to convert .txt file to ASCII values ? You can also perform this practical yourself just by uploading the .txt file which contains that simple short message and then converting it by using any text-to-ASCII converter. You’ll find around 10,000 hidden characters in it. So the main point is that Whatsapp Supports a limited amount of characters. If you exceed that limit in a single message then the Whatsapp gets crashed. I hope you understand well that why it happens so. If you feel any query about this ! Do comment down below. I’ll reply you with a perfect reason. Thanks for reading this article. Also Read :- LG K30 Smartphone Launched in U.S. Previous Article LG K30 Smartphone Launched in U.S.